The iPhone generally has great battery performance, but heavy use can quickly drain your device. While battery life continues to improve with each iPhone update, power usage has also increased with the larger retina display, HD video, 4G phone calls and browsing. 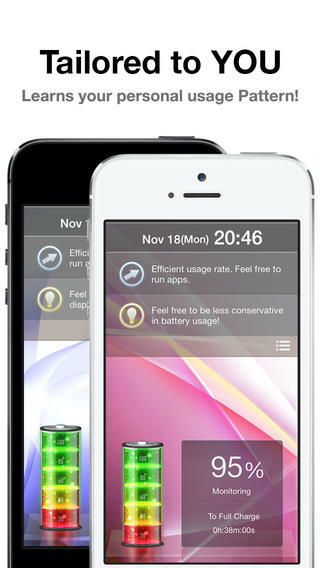 An iPhone battery life monitoring app is almost an essential tool for anyone who needs to make sure they don’t run flat while they’re on-the-go.TheBatteryForecaster.Ready iPhone app from Invencodeprovides convenient iPhone battery life monitoring tools and hints to improve the performance of your iPhone. There’s a feature built-in to Battery Forecaster called ‘Time Target’ which allows you to set a time that you need the battery life to last until, and then lets you know what you need to do to achieve it. The app will also provide you with the specific day and time at which the battery would run flat, letting you to better plan your charging schedule. When connected to a power source, the app gives you a number of at-a-glance battery stats, including the percentage of total charge that the battery is at and exactly how long it’s going to take to reach full charge. 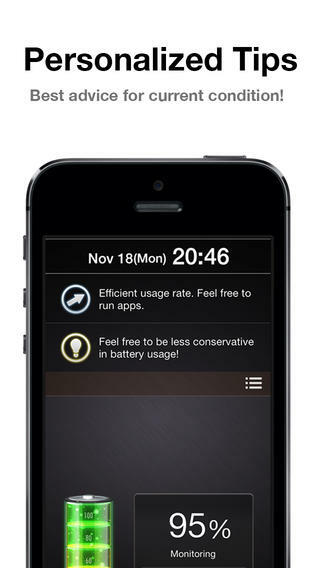 The Battery Forecaster app also provides some personalised feedback that depends on your iPhone usage, i.e. – refrain from using the device during charge to maintain battery life. The personal tips are a nice touch, but it would also be good to see a list of standard tips and tricks for increasing or improving iPhone battery life. The Battery Forecaster iPhone app also has several options for customisation, with users able to simply swipe across to change the background of the application. 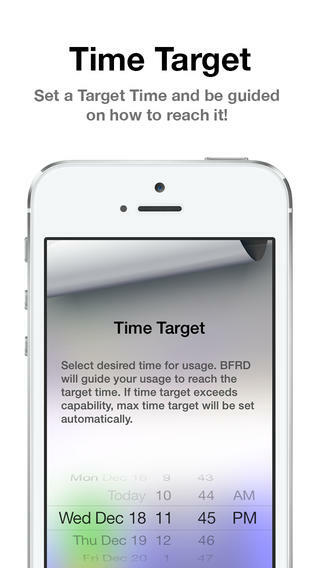 Bottom Line: Simple and straightforward,BatteryForecaster.Readyis the ideal app to monitor the battery life of your iPhone. BatteryForecaster.Ready requires iOS 7.0 or later. Compatible with iPhone, iPad, and iPod touch. This app is optimized for iPhone 5.